With the Vans U.S. Open of Surfing in full swing this week, it’s the perfect time to celebrate Bella Kenworthy’s ever-growing list of accomplishments. 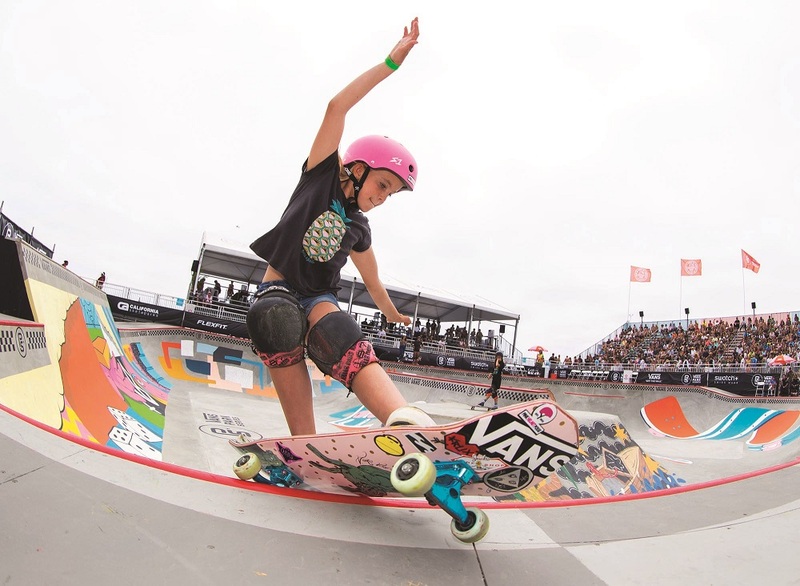 Competing in both the amateur and pro skateboard events at the Open, the 11-year-old from Dana Point is as much a threat on four wheels as she is three fins. Starting her week off at the Open on the right foot, she finished sixth in the amateur Continental Championships skateboard final and now has her sights cross-haired on the pro ranks. And as far as her surfing goes, she went undefeated during the WSA regular season. She didn’t lose a heat all year long, which is pretty remarkable if you consider what a fickle playing field the ocean can be at times. She also ended up with a very respectable second-place finish in the U.S.A. Surfing Championships. And to kick off the summer, Bella took first place in the inaugural G.W.R. Am Park Final at Dew Tour up in Long Beach in June. She also recently won the Under 14 division at the Vans Girls Combi Pool Classic. Needless to say, Bella’s going places—and fast.